‘Stick ‘em up! Your money or your life!’ The catchcry reportedly (or maybe just in films) of Australia’s most notorious bush ranger, Ned Kelly. Glenrowan, in northern Victoria, is the place where his last battle with the law took place. He was taken from Glenrowan to Melbourne Gaol (worth a visit) and hanged for his crimes. 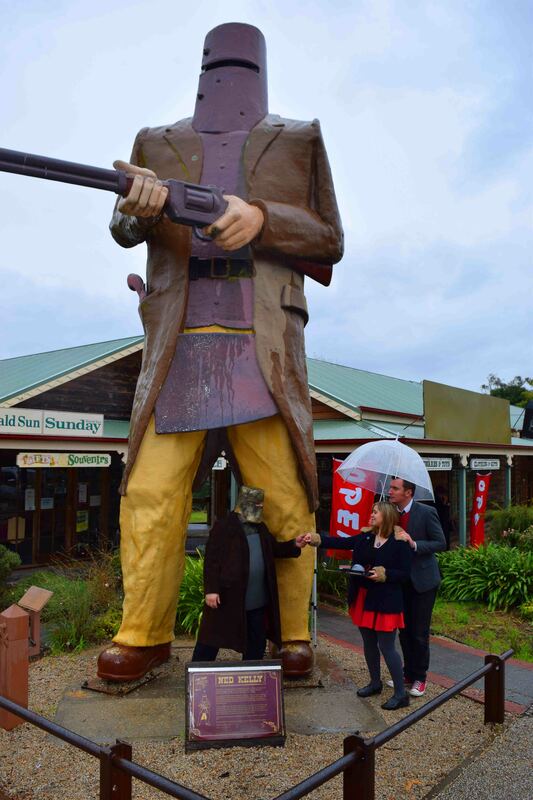 And Glenrowan has since been cashing in on his fame with the tourist dollars rolling in. Well, let’s see really. Is that the case? On a different project making a short film there went I with a group of rogues to shoot around the town. And yes, you will see the tourists coming in and out, from many different countries and continents. So they’ve done all right there. 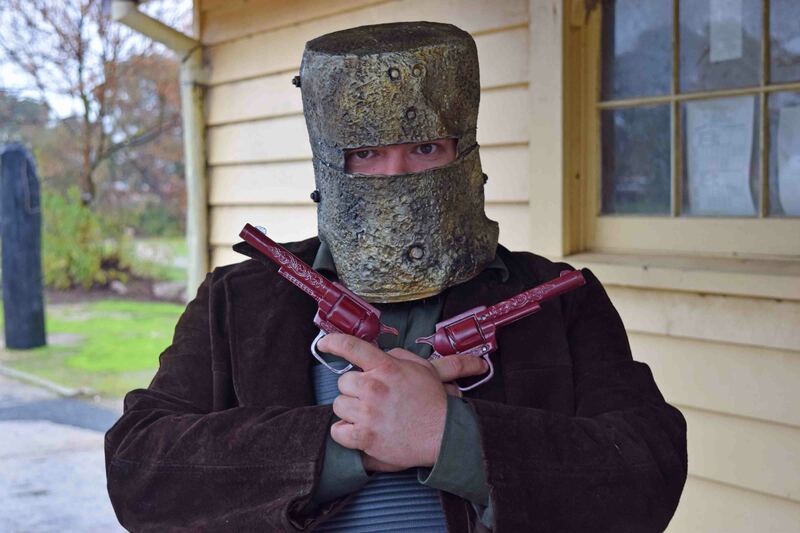 What should the unwitting foreigner be ready for when visiting Glenrowan? Professor Who – The Cult of Ned. Coming later in the year to Youtube! Well, there’s not a lot there. A few hours will do you, although the area is really quite beautiful in the immediate vicinity. Glenrowan itself is a short strip of shops (plus houses around and behind). There’s a pub, and the Billy Tea Rooms where we stayed and not a lot of accommodation options if you want to stay in town, but most do seem to go in and out of an afternoon. There was a steady, if small, stream of tourists when we were there in June. It was (and still is!) winter and the rain stayed the whole day (not great for filming but we carried on regardless), so probably when the weather is better there would be more visitors. The place is small but not without charm. Your dining options are very limited to about four places, only the pub is open after dark I think too. We were there with cars so we took the 12 kilometre drive into the town (proper town) of Wangaratta and found a nice Italian place. The people who live in Glenrowan, well the ones that we met, were extremely friendly and helpful. We filmed a very short shot of a character walking down the road and the lady in the souvenir shop asked if we wanted her to turn the music off for us! We were only doing it for fun and YouTube! Most generous and thoughtful. As for sights well. There’s an animatronic show that recreates the last siege at Glenrowan where the Kelly Gang was taken. That features in the video above made by some Australian comedians doing their best to take the piss out of Glenrowan. Well, that’s something we like to do in Australia, to make a joke out of ourselves. The town’s attractions are pretty close together, as you’d expect. There is an interesting museum, plenty of souvenir shops – quite a high ratio to be true – there is also a huge statue of Ned Kelly which is pretty compulsory for any selfies you might want to take. The train station – now inactive even though the train line isn’t – is the site of Ned Kelly’s last stand. It’s not amazing but it’s worth a look. A few old wooden statues decorate outside, faded and rotting away. But the fun of visiting Glenrowan is being there. And the bakery is a wonderful place for lunch or breakfast – this below was my ‘big breakfast’ that I couldn’t resist having each morning. 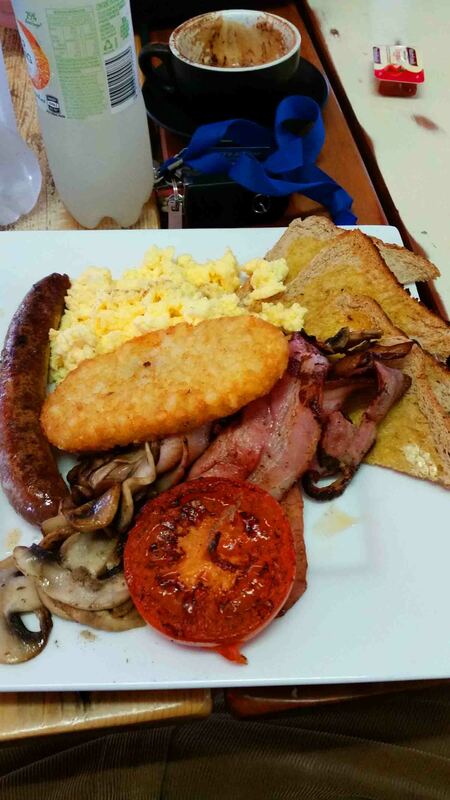 Does breakfast get any better? I stayed at one of the two townhouses that the Billy Tea Rooms have to stay in. We had up to six people in an upstairs unit with kitchen and even washing machine, and it was $150 a night AUD which is a pretty good price! So if you have a group it’s well worth it. 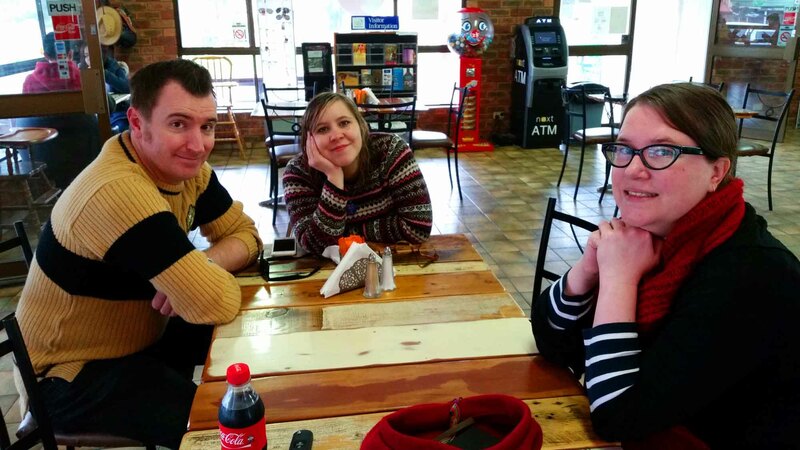 All in all, my weekend away in Glenrowan despite the rain was a great little getaway, and I had a lot of fun! oh, I didn’t know about this one, looks funny! Ha ha great photos, looks like a fun place to visit! it is! thanks for stopping by! 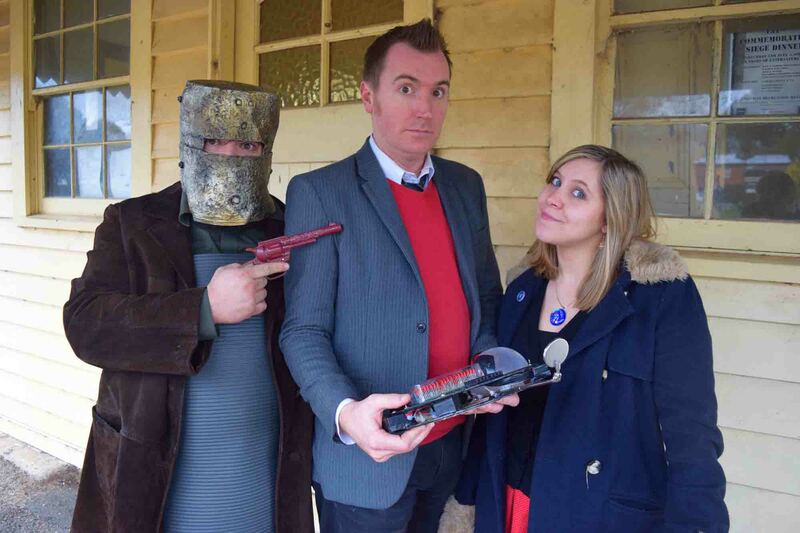 I’ve heard about a place called “The Ned Kelly Experience” which is tacky to the point of being concerning… never been there – apparently it’s expensive and creepy, and the manager is quite unprofessional. Did you hear about/encounter this while you were there? 2019 - A Crazy Trip in the Planning Stage!